Hope is known to be an important predictor of wellbeing, especially in young people. The current study draws from the locus-of-hope model, which proposes internal and external locus-of-hope dimensions. External locus-of-hope refers hopeful thoughts based on conjoint forms of agency that relate to other persons and external forces, which are distinct forms of hopeful thoughts compared to dispositional hope that is typically measured in the research literature. Data were gathered from 825 young adolescents (ages 12–15) from the Philippines who completed the Locus-of-Hope Scale. Confirmatory factor analysis indicated good fit between the four-factor model of locus-of-hope and the data. Multigroup confirmatory factor analysis further indicated strong measurement invariance across boys and girls. The young adolescent sample reported higher external-family and external spiritual locus-of-hope thoughts compared to the internal and external-peer locus-of-hope, and girls reported higher hope in the first two dimensions, as well. Internal and external-spiritual locus-of-hope also increased in the later years (14 & 15). 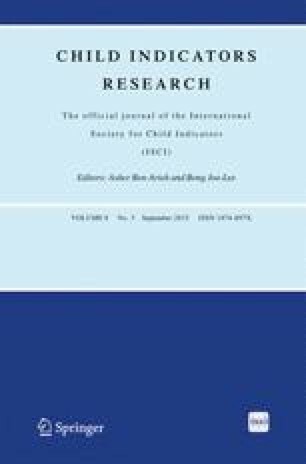 The results are discussed in terms of how hopeful thoughts may be shaped by developmental processes that relate to broader culture-specific societal processes and orientations. This research was supported by a grant from the Research Development and Administration Office of the University of Macau (Project Reference No. : SRG014-FSH13-ABIB). The author thanks Dr. John Stephen Curada for facilitating the data-gathering activities for the study. Bernardo, A.B..I., & Estrellado,A.S. (2014). Measuring hope in the Philippines: Validating the short version of the Locus-of-Hope Scale in Filipino. Social Indicators Research. Published online January 2014, doi: 10.1007/s11205-013-0573-7.